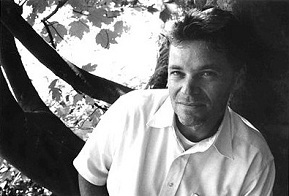 Prof. Mark Kingwell is a world renowned Canadian author and philosopher. He is the associate chair at University of Toronto's Department of Philosophy. Kingwell is a fellow of Trinity College. He specializes in theories of politics and culture. Kingwell has published twelve books, most notably, A Civil Tongue: Justice, Dialogue, and the Politics of Pluralism, which was awarded the Spitz Prize for political theory in 1997. 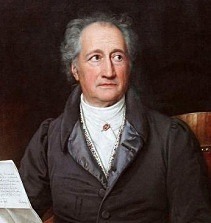 Spitz Prize is annually awarded by a panel based in the Department of Political Science of Columbia University to the author of the best book in liberal and/or democratic theory. Prof. Kingwell's works have been translated into ten languages and among his notable books are "Dreams of Millennium: Report from a Culture on the Brink," "Practical Judgments: Essays in Culture, Politics, and Interpretation" and "Nearest Thing to Heaven: The Empire State Building and American Dreams." MK: I'm certain there was some inspiration taken from the Arab Spring, yes. The very topic of OWS's connection to the Arab Spring became a contentious issue here, however. Critics of OWS—who grew more repressive and condescending by the day, until the parks were forcibly cleared—were vehement that no comparison with Arab Spring was valid, or even allowed. It was if popular uprising were democratic, and wonderful, but only if they happened somewhere else. One particularly loathsome journalist [Rex Murphy] labeled the OWS protesters as 'capitalism's spoiled children', as if they had no right to object to a system than does not work, that is grossly unjust, and that is sustained by only a sham politics of puppet candidates permanently indebted to the monied interest. Shut up, and get back to shopping for gadgets! It was a disgusting spectacle of provincial, toy-time fascism. MK: One of my favorite reviews of Better Living called it "the self-help books for people who hate self-help books." In one broad sense, all books of philosophy, at least in the so-called wisdom tradition, are self-help books: they offer a kind of therapy, in book form, whose basic message is that same as that found in Rilke's musing on the Archaic Torso of Apollo: You must change your life! But the therapy is intellectual and ethical, often ironic and prickly, and not delivered in twelve easy or even twelve hard steps. So I wanted to criticize the recent fad of lifestyle guidance by, once again, revisiting some basically Aristotelian insights in a modern form. That's why I used personal narrative, some cultural criticism, and different forms of ironic discourse in the book. MK: I suspect we have already witnessed the worst of the globalization cultural bulldozer. What is happening everywhere is the hybridization of culture, such that local traditions, practices, and vernaculars are folding in elements of global culture—not really a culture at all, just an economic expansion program—and creating unique human customs that will continue to evolve. This is precisely what humans have always done with culture, especially in times and places with lots of mobility. My main wish for these 'bottom-up' hybrids is that they include elements of the best in Western culture, especially the discourses of philosophical justification for human rights and social justice. The West has exported lots of awful things, but there are some good things too!the self-help books for people who hate self-help books.